Raising a family is, arguably, the most difficult and important thing that a person has to do in their life. Not only do you have to help a human being develop and grow, but you need to provide them with food, comfort, and safety. 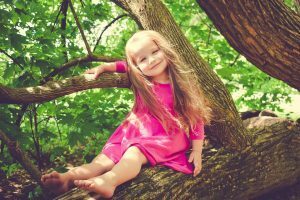 If you fail to recognize that the environment in which you bring up your children will play a major role in their development, you’ll be making a huge mistake. Therefore, before you decide on where to move with a family, you better read up on the most popular cities for families in Miami Dade County so that you can better start your search. But, first, we should go over what makes a city good for a family. In order for a city to be suitable for a family, it needs to have certain qualities. These serve to help parents bring up their childer into healthy, productive members of society. So, before you choose your favorite out of popular cities for families in Miami Dade County, make sure to study on how to choose. Safety is always first and foremost. Be it for moving preparations or for living conditions, safety is always paramount. Therefore, you need to find a city that is going to be safe. Cities that have low crime rate will help you relax. It is much easier to raise a kid when you don’t have to worry about them getting robbed or hurt. Overall, safety is a fir precursor for a city to be suitable for healthy family life. Your kids need to be safe in order to have a healthy childhood. The next things that the city needs to have are good schools. Without proper education, you can hardly expect your kids to succeed in the 21st century. Therefore, you need to find a city that has good schools and high education standards in order to prepare your kids for college. Good schools will also help them grow into good people that are willing to cooperate and compete in the modern world. Kids need to spend time in nature in order to develop properly. Nothing can substitute playing outdoors. And, if a city doesn’t have plenty of nature in its vicinity, you shouldn’t consider too. Take stock of the number and quality of parks that are in the city. Also, look for nearby nature retreats where you will be able to take your children camping. Finally, if the city has access to the beach all the better. 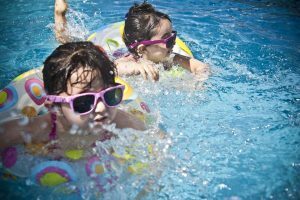 Salt water is proven to have positive effects on the children’s immune system, which is the best gift you can give them. Parents seem to forget that kids need to spend time playing in nature. It is vital for their development to have fun in the outdoors. Now that you know what to look for in a city, you need to take a look at our pick. There are many cities in Miami Dade County, so there is no guarantee that you will find your pick among ours. But, our pick of the popular cities for families in Miami Dade County, should be a good starting point for anyone looking for a place to live. So, without further ado. Simply because of its size, Miami is bound to pop up on every list of the most populous cities in Florida. But, don’t let that fool you. 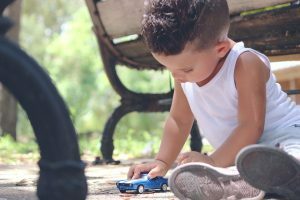 Miami has some great neighborhoods that are awesome for raising kids. Here you will find great parks, awesome schools, and safe streets. All you need to figure out is which neighborhood suits you best. Miami is quite large and it is, therefore, quite hard to sum it up to one neighborhood. You’ll bet a much better idea if you look through its neighborhoods and try to find the one that suits you best. All of them can vary wildly in prices and standard. But, if you look hard enough, you are bound to find one that suits you perfectly. As you might realize, Florida has been greatly influenced by Cuban culture. And, if you like it and you would like to raise your kids in it, then there is none better then Hialeah. It even has a higher percentage of Cubans than Florida City. Combine with that healthy atmosphere and safe neighborhoods and you will realize why Hialeah is one of the more popular cities for families in Miami Dade County. Just make sure to call one of the reliable moving companies Hialeah to help you relocate there. As we mentioned before, living near the sea can have great benefits for the health of your kids. And, there is no city in Miami that has greater access to the beach then Miami Beach. After all, it is in the name of the city. But, even beside the beautiful beaches, there are great schools and safe streets for your kids. So, if you are a fan of the beach, and you would like your kids to be to, then you better call Miami Beach movers and move there asap. One of the reasons why Miami Beach is one of the popular cities for families in Miami Dade County is because of its beautiful beaches.